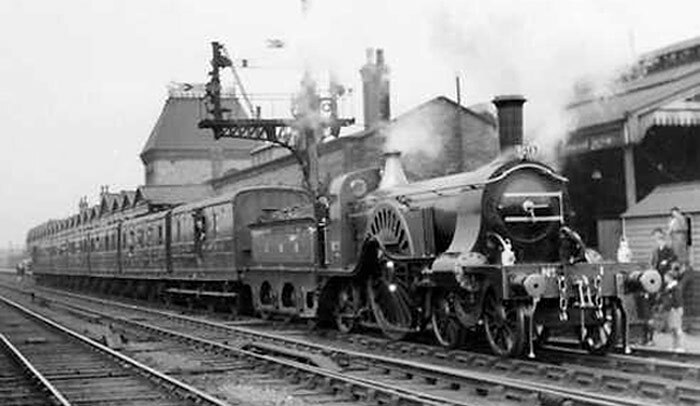 Three superb images of GNR 4-2-2 Stirling Single No.1 at Peterborough North on an RCTS railtour in the 1930s. 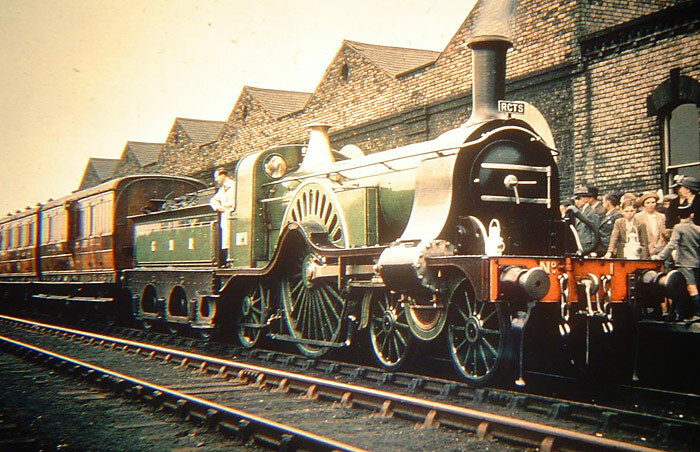 The engine was built in the early 1870s and though it may look cumbersome by later steam design standards, it was capable of averaging in excess of 60mph on long hauls up and down the main line. 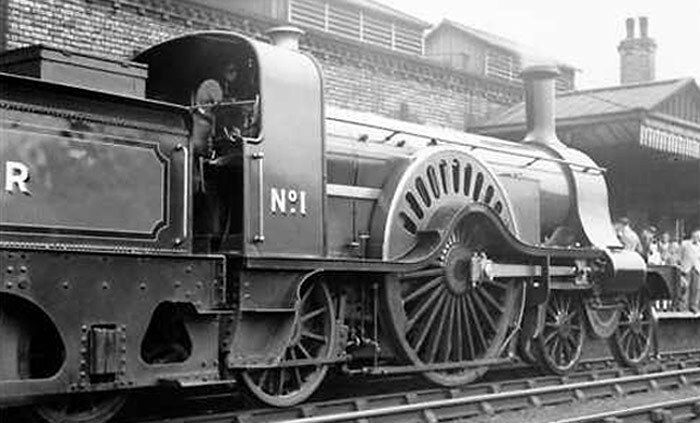 Thomas the Tank Engine fans might recognise the character “Emily” who was based on this engine which is preserved to this day and on show at the National Railway Museum in York.